The Indelibles are a group of 25 Indie authors that rock my world every day – they’re fun, they’re funny, they’re talented … and they make the indie journey so much easier. I encourage everyone who is considering indie publishing to find a like-minded group of authors to join (or make your own!) – just because you’re indie, doesn’t mean you should go it alone! 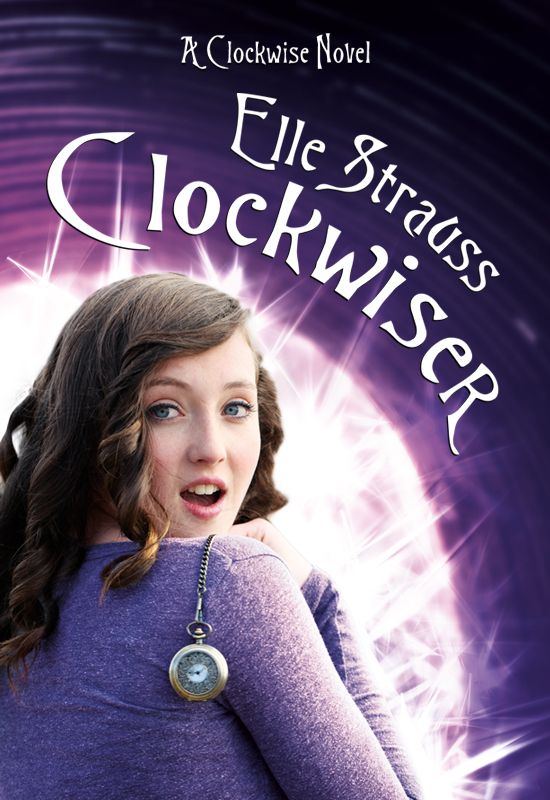 There are several new Indelibles releases coming out this month, and today I’m featuring Elle Strauss’s ClockwiseR, the sequel to her time-travel fantasy YA Clockwise. Check out the adorable cover and sample chapter below! Can Nate and Casey find Tim in time to save him? And is it too late to save their love? Sometimes I wished I were an only child. But then I’d be walking or taking transit instead of getting a lift from my brother Tim in his Cavalier beater. He didn’t have air conditioning either, and the wind blowing in from our open windows was hot and moist. The humidity made me feel like I was wearing a warm, wet washcloth for a shirt. “Can’t you drop me off first?” I said, fanning myself with my hand. I was meeting my best friend Lucinda at the mall, and she only had a thirty minute break from her job at Forever21. Plus, the mall was air conditioned. Bonus. I gave him a dirty look and reached over to turn the music down. I had a very good reason for not getting my license, but I could never tell Tim or any member of my family what it was. There were only three people currently living who knew the reason. One of them was my boyfriend Nate Mackenzie. My heart still fluttered a bit when I thought of him in those terms. My boyfriend. Not just some out-of-reach guy I crushed hard on my whole sophomore year, but my boyfriend. We’d already been an official couple for an entire year, totally blowing all the doomsday predictions that we’d never make it. No one thought a college boy would stick it out with a junior in high school–especially Nate’s evil former girlfriend! But he did, and we were still going strong. I’d be starting my senior year in a few weeks and then I’d join him at Boston University, too. “If you dropped me off first, you wouldn’t have to deal with me,” I tried to reason. The only reason he did was because my parents were putting the screws in. Tim’s bad attitude, questionable choice of friends and poor grades put him in their bad books. Driving me around was penance. He pulled into the parking lot of the bank and hopped out, leaving the car running. I reached over and turned it off. Idling the car was bad for the environment for one, and a waste of Tim’s hard-earned minimum-wage job gas money for another. You’d think he’d know better. I checked the time on my phone and grew anxious as Lucinda’s break time grew nearer. Tim had his back to me as he stood in line at the ATM window. I looked at my reflection in the visor mirror. Since I’d grown out of my skinny awkwardness last year (and snagged a hot boyfriend), I was more mindful of my looks. Instead of trying to hide behind a bush of dark, curly hair, I used better hair products and found a great stylist, and I liked the way my curls framed my face now. I took a tube of lip gloss out of my purse and rolled it onto my lips. I tugged on my shorts and rubbed my bare legs. They were so long, my knees almost touched the glove compartment. Height had its advantages, but getting comfortable in a small car wasn’t one of them. I turned the radio on and hummed along. I daydreamed about me and Nate and how we could relax for the rest of the summer, hopefully stretching the lazy days out as long as possible. I checked the time on my phone again and immediately started stressing about being late to meet Lucinda. C’mon, Tim! He was second in line now. I texted Lucinda to let her know I might be a little late. I heard sirens and I perked up. This wasn’t the best neighborhood. The bank wasn’t huge, just tucked into a strip mall along with a nail place, a dollar store, and a thrift shop. Litter overflowed from the bin and a good amount had been blown up against the cement foundation. I checked on Tim. He’d finally made it to the front, the last one in line. If I’d known it was going to take him this long, I would’ve run into the dollar store and picked up cheap nail polish. The siren noise grew increasingly louder and suddenly three cop cars pulled into the parking lot beside me. My heart jumped, and I thought fleetingly that maybe Tim was in trouble with the law again. Only, he was getting money out of the ATM, not robbing the bank. A guy with a ski mask pushed past Tim as he ran out the bank doors. A cop shouted, “Stop or I’ll shoot,” and another masked man followed. Guns went off. Tim stood there, stunned and frozen. I heard myself shout, “Tim!” He was right in the middle of the cross-fire! A police officer ran to him, pushing him to the ground just as the second armed man shot in their direction. The officer fell to the ground, taking the bullet instead of Tim. The robbers ran around the corner and out of sight, chased by police officers on foot and a cruiser down the back ally. I sprinted to Tim where he was on the ground by the fallen cop. “Are you okay?” I asked, my voice tight. The officer moaned, holding her hand on her chest. “Oh, ma’am, are you okay?” I searched for blood but couldn’t see any. The woman had dark hair pulled back in a low bun. Her eyes stayed pinched together and her pale face glistened with sweat. The impact of the bullet was enough to do some damage. I picked up her police hat that had fallen off her head and handed it to her. The ambulance arrived. The paramedics pushed us aside and lifted the woman onto a gurney. The cop who’d checked her pulse stepped forward from his open door cruiser. Radio dispatch noises leaked out. 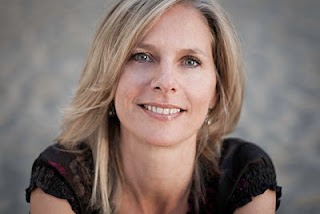 I watched the ambulance pull away, siren blasting, and realized I didn’t know her name. I asked the officer standing beside me. We agreed, and I took my first ride in a police car. It was Tim’s second, but his first was not for noble reasons. He still claimed it was his friend Alex, and not him, who’d stolen the cigarettes from the convenience store. A thought like a loud banner ran through my mind as the doors of the police cruiser slammed shut and we drove away. Clarice Porter saved my brother’s life. accidentally takes her secret crush back in time. Awkward. You can get Clockwise and ClockwiseR on Amazon for $2.99! This looks great. It will be fun to get to know Tim better in this book. OMG This looks so good!! I already read the first book and I thought it was AWESOME. Definitely going to be reading this!